Robert “Chris” Province has over 20 years of experience in delivering, instructing and designing training courses. In addition to his speaking, Chris is currently a self-employed CPA specializing in taxation of high net worth individuals and closely held businesses with clients located in many states throughout the United States. 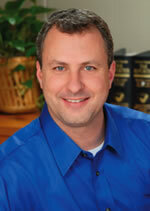 Chris has also served as a tax partner and senior tax member for several local, regional, and national CPA firms. Chris earned his Bachelor of Science degree in Accounting and Finance from the California State University Northridge. He is a member of the American Institute of Certified Public Accountants and the California Society of Certified Public Accountants. Chris also has served as a member of the national AICPA S-Corporation Technical Resource Panel. He has also served as a member of the Qualifications Committee for the California Board of Accountancy. Chris is a licensed Certified Public Accountant in California and North Carolina.